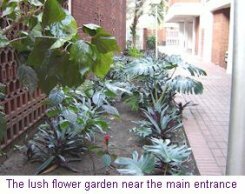 St Aidan’s Mission Regional Hospital is located in the CBD area of the city of Durban. It neighbours the Durban University of Technology (former ML Sultan Technikon Campus). It is just a stone throw away from the main shopping and entertainment centres like Musgrave Mall, Berea Centre and the Greyville Racecourse. 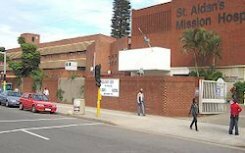 There are also about ten schools, including Durban Girls High School, in the vicinity of St Aidan’s Mission Hospital. The Services offered are at a Regional Level and therefore all patients need a referral from other health care providers. There are no general outpatients. The hospital has commissioned 157 beds out of possible 240. 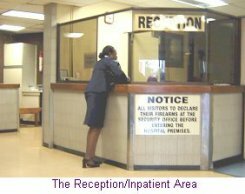 St Aidan’s Mission Regional Hospital is the former private hospital that was taken over by the KwaZulu-Natal Department of Health in April 2004. Services offered are at a Regional Level and therefore all patients need a referral from other health care providers. There are no general outpatients. The hospital has commissioned 157 beds out of possible 240. This service caters for both inpatients and out patients. Some conditions treated include kidney stones, prostate problems, bladder incontinence, circumcisions and testicular problems. Clinic: Wednesday 11h00 – 16h00. Types of conditions treated are mostly burns patients requiring skin grafts. Keloids are removed and other lumps and bumps are treated. Burns patients from other hospitals will only be accepted if certain basic tests have been done. (Pus swabs, FBC, U&E and an LFT / X-Rays if indicated). There is no after hour service at St Aidan’s Mission Hospital. Once patients have been stabilized, they will be transferred to their nearest District Hospital or Clinic as may be the case. This department is currently being commissioned. Services are available for inpatients only at present. 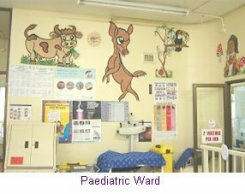 These services are available for both in and outpatients from Monday to Friday between 07h30 – 16h00. Problems dealt with include grief counselling, child abuse, depression, assistance with disability grants and other similar services provided strictly on an appointment basis. This department takes care of our clients medicine needs. Opens strictly between 07h30 – 16h30. Services are available between 07h30 to 16h00 and are strictly via doctor’s referral. Facilities include plain X-rays, CT scan, IVP MRI scans. These services are currently outsourced to a private partner. All investigations are catered for. Investigations are done at an off site Laboratory. Results of most routine tests are available on the same day or next day. Some results, however, may take a while to come back.